for long-term relief of mild cases of digestive upset. because alkaline water raises the pH of urine, and can raise the pH of blood if blood pH is too low – a temporary condition called metabolic acidosis. Researchers tested alkaline water’s ability to act as an antacid by measuring the pH inside the stomachs of 6 volunteers before and after they drank alkaline water. 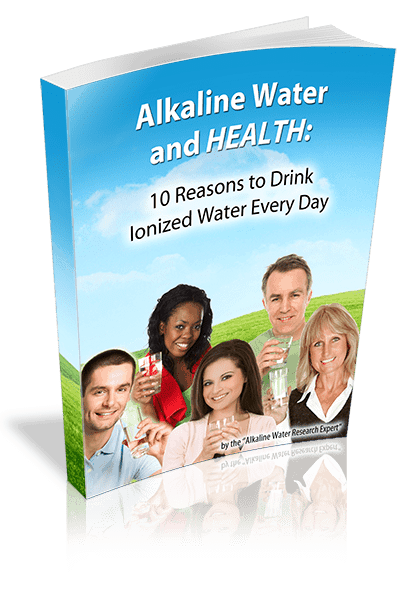 Doctors gave the study volunteers alkaline ionized water at pH levels of 9, 10, and 11. They were told to drink 1 liter of alkaline water per day. Study volunteers swallowed devices that reported on the pH levels inside their stomachs. The stomach pH levels were measured over a period of 24 hours. Doctors observed that alkaline water increased pH inside the volunteer’s stomachs from drinking alkaline ionized water when study volunteers drank alkaline water at a pH of 9 or greater. The pH levels in their stomachs remained higher for about a half hour after drinking alkaline water, and then gradually returned to normal. The normal pH in the stomach is about 2. Alkaline water increased stomach alkalinity in all volunteers by a pH range of .5 to almost 1. An increase of 1 pH is a big deal because the pH scale is logarithmic. This means that an increase of 1 pH is a 10-fold increase in alkalinity! Researchers noted that alkaline water has a mild antacid effect that can provide long-term relief of digestive upset when consumed daily. The most important thing to note about these study results is that stomach pH is increased by alkaline water. Blood and urine testing done in other studies also show that the stomach does not neutralize the alkalinity of alkaline water. Drinking alkaline water will raise the pH of your urine. 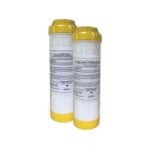 You can even see this for yourself by using common urine pH test strips. In clinical trials, alkaline water had a positive effect on common digestive problems like chronic diarrhea, constipation, gas/bloating, indigestion, acid indigestion, and other complaints. In fact, 88% of sufferers found relief just by drinking alkaline water! For this study, patients with digestive problems were given alkaline ionized water at a pH level of 9.5 to drink for 2 weeks. After two weeks the patients were interviewed to find out if there was any improvement of their upset stomachs. Researchers reported that 88% – 22 out of the 25 patients found partial or full relief of their upset stomachs just by drinking alkaline water. The study also showed that no patient’s symptoms got worse. Three of the people in the study reported no improvement in their condition. To confirm the results in the previous study, a double-blind, placebo-controlled, fully randomized clinical trial was carried out. Double-blind clinical trials are the gold standard for proof in the medical research, so these results are considered conclusive. The patients selected for this study had gastrointestinal complaints. They were divided into two groups: The first group was given alkaline ionized water to drink. The second (control) group was given purified water to drink. Neither the doctors nor the patients in the study were told which kind of water they were given. The patients drank the water they were given, and researchers monitored them over a period of 4 weeks. When the 4-week study was over, doctors interviewed the patients to see if they still had digestive upset. 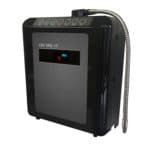 Nearly all of the patients in the study found relief from simply drinking alkaline ionized water. The doctors who conducted the study concluded that alkaline water is effective for relief of digestive upset. The most significant improvements were noted in relatively mild cases of digestive upset. This study confirmed the effectiveness of alkaline water for relieving mild cases of chronic diarrhea and constipation. What if you have severe digestive upset: See your doctor right away. 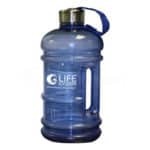 Alkaline water is for gradual relief of mild digestive upset. Once you and your doctor have your digestive upset under control, drinking alkaline water can help you maintain good stomach health, it’s not medicine! It is important to note that unlike medicine, there’s no promise of an immediate effect. Drinking alkaline water on a daily basis can lead to gentle and gradual improvement of your upset stomach, but if your upset stomach is severe, you’re better off taking medication. For best results, Alkaline ionized water should be consumed on an empty stomach. and users should keep in mind that alkaline ionized water is not always effective for all stomach and intestinal problems. If you are taking medication, don’t take it with alkaline water! This is because most medicines are designed to be absorbed by your body at a gradual rate. Drinking alkaline water can cause your body to absorb medicines at a faster rate than it should. Always take medication with plain, purified water. Kitahora, et al, . “The Summary of “Electrolytic Water in Medical Treatment.” Symposium of the 25th General Assembly of the Medical Congress of Japan 1999. Print.Tashiro, et al, . “Digestion and Absorption.” Japan Digestion and Absorption Academics Society. 23.2 (2000): 52-56. Print.Tashiro, . “5th Revision of the 32nd Edition of “Digestive Organs.” Kagaku Hyoron Sha. (2001): 473-477. Print.”Kitahora: Journal (T).” 26th General Assembly of the Medical Congress of Japan. (2003): 33. Print.”Itokawa.” FOOD Style 21. 7.8 (2003): 81–83. Print.